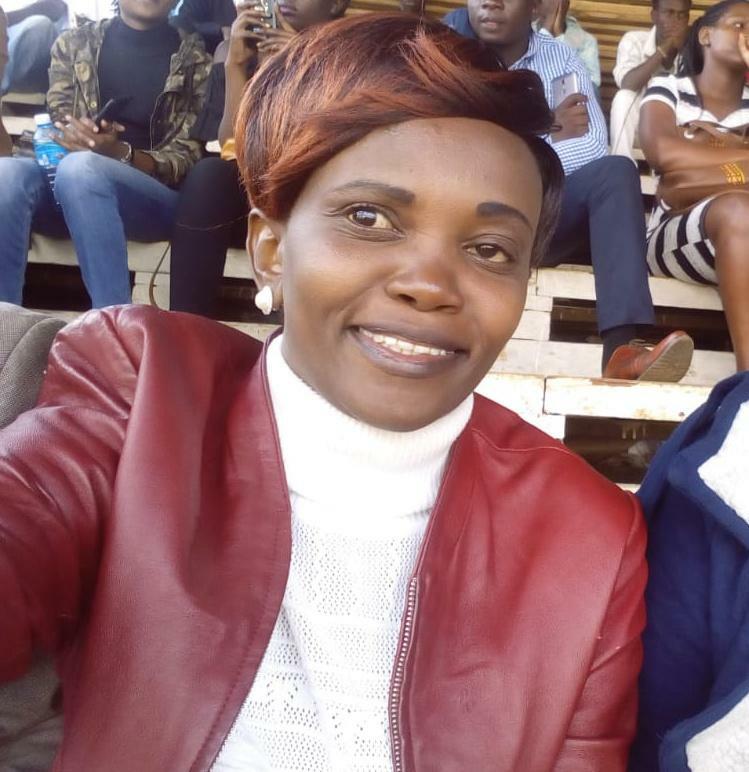 Hessy wa Dandora has come out in the open guns blazing to deny the involvement of any police officer based in Eastlands in the murder and consequent dumping of Caroline Mwatha Ochieng at City Mortuary. 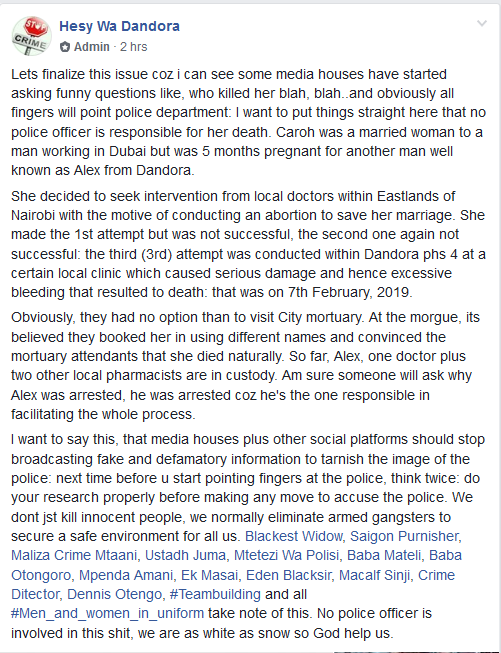 Hessy wa Dandora, in a Facebook post, castigated the media for trying to suggest that the police had murdered the lady due to her outspoken nature against police killings or what is popularly known as extrajudicial killings. The police officer who operates under a code name also sought to assure the public that they only eliminate armed robbers from the area and not unarmed civilians. She decided to seek intervention from local doctors within Eastlands of Nairobi with the motive of conducting an abortion to save her marriage. She made the 1st attempt but was not successful, the second one again not successful: the third (3rd) attempt was conducted within Dandora phs 4 at a certain local clinic which caused serious damage and hence excessive bleeding that resulted to death: that was on 7th February, 2019. Obviously, they had no option than to visit City mortuary. At the morgue, its believed they booked her in using different names and convinced the mortuary attendants that she died naturally. So far, Alex, one doctor plus two other local pharmacists are in custody. Am sure someone will ask why Alex was arrested, he was arrested coz he's the one responsible in facilitating the whole process. I want to say this, that media houses plus other social platforms should stop broadcasting fake and defamatory information to tarnish the image of the police: next time before u start pointing fingers at the police, think twice: do your research properly before making any move to accuse the police. We dont jst kill innocent people, we normally eliminate armed gangsters to secure a safe environment for all us. Blackest Widow, Saigon Purnisher, Maliza Crime Mtaani, Ustadh Juma, Mtetezi Wa Polisi, Baba Mateli, Baba Otongoro, Mpenda Amani, Ek Masai, Eden Blacksir, Macalf Sinji, Crime Ditector, Dennis Otengo, #Teambuilding and all #Men_and_women_in_uniform take note of this. No police officer is involved in this $#!t, we are as white as snow so God help us.